Designed for use in Nursing Homes and Residential Care. A deodoriser with a light perfume which leaves a fresh smell in place of lingering mal-odours. 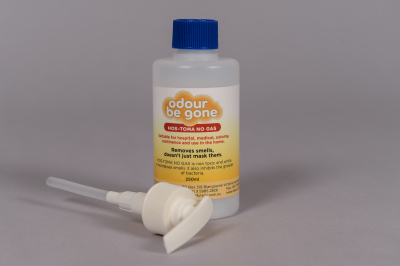 General Use - Spray into the air to deodorise mal-odours, not just mask them. Waterproofs, Vinyl Chairs, Carpets, Kylies - Spray onto the affected area and wipe off with a clean cloth. Commodes, Wheelchairs, Cushions, Toilets - Spray under and around. Bed Pans - Spray as soon as removed from the patient. Spray inside the pan and again after being washed. Soiled Linen Bags - Spray in and around the bags as they are filled and again before they are closed. Vomit, Urine and Faeces - Spray before wiping. Drying Cabinet - Spray into the drying cabinet approximately 6 minutes prior to the end of the cycle. Designed specifically for use in Oncology Departments and Palliative Care to remove mal-odours from fungating and necrotic tissue. 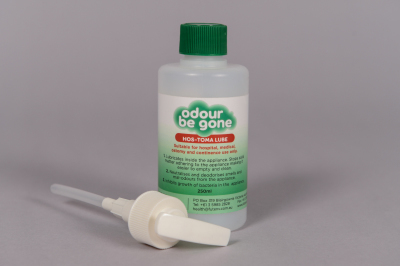 General Use - Spray into the air to deodorise mal-odours as needed. Dressings - Spray on one side of a surgical pad, presenting the reverse side towards the patient's dressing. Bed and Linens - Spray lightly over the bed-clothes or hand towels placed at the head and or foot of the bed. Masectomy Drainage Bags - May be added to Mastectomy drainage bags and is ideal when fogged through a large volume nebuliser such as the "HUDSON" Unit. A broad spectrum deodoriser gel designed to remove odours from a room or area. 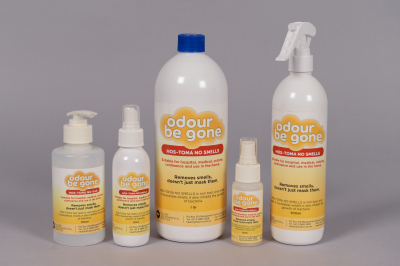 Used in Aged Care, Gastro, Palliative Care, Oncology Units, Pathology Laboratories, Operating Theatres, Forensic Centres, Chemical Storage areas and anywhere prone to mal-odours. Designed for use with Ostomy patients to save embarrassment from unwanted mal-odours. Useful for sufferers of Hirschprungs, I.A, Chrohns, Colitis, Irritable Bowel and I.A Spina Bifida. Available as part of the 'Stomal Appliance Scheme' from Ostomy Associations. Sprays - Spray onto the appliance as required to remove mal-odours. Dropper - Use 4 or 5 drops in the appliance. Designed for use with appliances to stop matter adhering inside the appliance (pancaking) and to help buildup slide down inside the appliance. 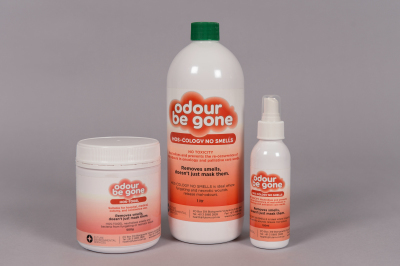 Neutralises mal-odours and prevents the growth of bacteria. Shake lightly before each use. Do not remove backing paper from appliance prior to adding HOS-TOMA LUBE. Place nozzle into opening and pump two or three times into the new applianceor when you have emptied a drainable appliance. Designed for use with appliances to prevent gas build up in the appliance. 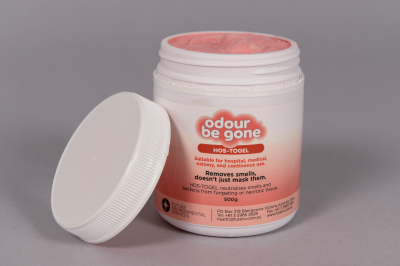 Neutralises mal-odours and prevents the growth of bacteria. Put the nozzle into the bag and pump two or three times . Reuse whenever selecting a new appliance or after draining.